If the Twittersphere has taught us one thing, it’s that athletes can be completely absurd individuals. The NBA lockout was a prime opportunity to observe how millionaires spend their non-basketball time, and while every day of these NBA playoffs is thrilling, once this seemingly endless process of crowning a champion is complete, it will, once again, be “recess” for the majority of the NBA players. While some potential offseason recess legends are still playing (James Harden, Evan Turner), the rest of the league is already gearing up for a summer that one can only hope is full of shenanigans. While many of the offseason gems that occur will be completely dictated by the player and his iPhone and/or newly formed rap label, every so often, a brand or company will cleverly partner with an athlete, and the end result will be a product that exposes the player to a wider audience. You know, like that time Tracy McGrady did that thing. The premise of the video is that Pepsi Max filmed a documentary on a basketball player. (Which is why the crowd and players were not confused by the cameras and all the free Pepsi Max.) The main figure of the documentary was a guy named “Kevin,” but he also brought his Uncle Drew to the pickup game to watch. 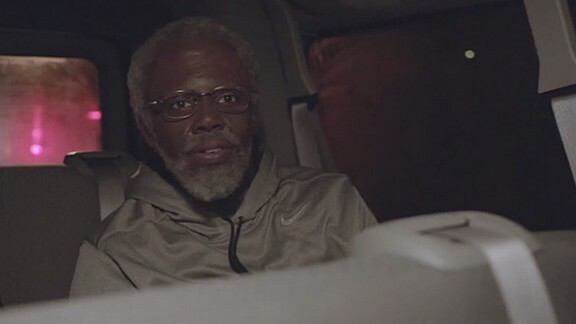 When a player goes down in the pickup game, Kevin says his Uncle Drew can substitute. The other players look confused, but don’t protest because he’s an old man and, most important, isn’t Kyrie Irving. But he is Kyrie Irving. In disguise. Kyrie/Uncle Drew starts off by setting up the hustle. He misses shots and is moving exactly like you’d expect a 60-year-old to move. As the game progresses, though, he starts to actually play and — out of nowhere — performs And1 Mixtape crossovers, throws lobs off the backboard to himself for dunks, and talks trash to anyone in his way. A classic “old man on the blacktop who’s actually the NBA Rookie of the Year” hustle. 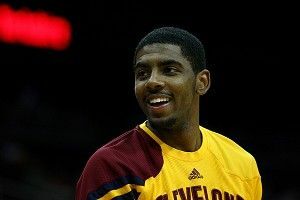 But more important than the plot of the hustle, this video teaches us a lot about 20-year-old Kyrie Irving. For one, he’s a very funny guy. When the guy whose shoes he filled, LeBron James, had his “LeBrons” commercials and played many characters, there were a few highlights, but I think we can all agree that the campaign stopped for a reason. Kyrie, on the other hand, seemed quite comfortable riffing in this clip. He’s also quite the convincing old black man and obviously is channeling some old black man in his life, because his mannerisms and speech patterns are on point. (This is very important to me, seeing that I spend one hour a day excitedly thinking about what type of old black man I’ll be, either the loud, ornery one with the bad hip, or the wise, omniscient one with the bad hip.) There are also other, more subtle things that he does that further prove he’s kind of a natural in front of the camera. The soft, demeaning face slap he gives his “nephew” Kevin is perfect, as is saying “rappity hippity hop” and speaking about the lost art of fundamentals. Oh, and the last thing we can’t forget about: He’s devastatingly good at basketball. It’s terrifying. If I was a Cavs fan, I would be so excited to have this guy as the leader of my franchise for the next five to six years, until he leaves to go win with his best friends and then doesn’t win.